Many universities in Ireland rank impressively well at international level, and the country as a whole is understandably a popular choice for international students. The varied selection of higher education institutions combines with historic cities, beautiful countryside and Ireland’s unique culture to make the country a highly attractive study destination. If you're among those choosing to study in Ireland, click on the tabs below to find out more about Irish universities, cities, applications and more. First official language is Irish, also known as Irish Gaelic, but English (the second official language) is more widely used. 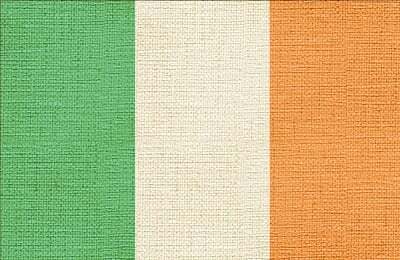 The Irish name for Ireland is Eire (pronounced AIR-uh). Famous Irish authors include Jonathan Swift, James Joyce, Maeve Binchy and Roddy Doyle. Famous Irish playwrights include George Bernard Shaw, Samuel Beckett and Oscar Wilde. Traditional sports include Gaelic football and hurling. The country’s huge annual celebration of Saint Patrick’s Day (17 March) has spread across the world. A reputation for being rainy, which is justified; depending on the region, it rains between 150 and 225 days a year, according to the Irish Meteorological Service. Higher education in Ireland consists of universities, specialist colleges (offering courses in a single subject area), and institutes of technology. The latter don’t just offer courses in technology subjects, but also cover a wide range of vocational programs, in subjects including hospitality, healthcare, pharmacy, media, textiles, marketing and many more. Ireland’s seven public universities are all ranked within the world’s top 700 in the QS World University Rankings® 2019, as is one of the 14 institutes of technology. Ireland also has seven private-sector colleges, ranging in size from the tiny Burren College of Art, which has only about 200 students, to the huge Dublin Business School, which has a student community of about 9,000. Read more about the five highest-ranked universities in Ireland, all ranked among the world’s top 450. 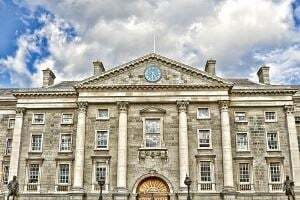 Established back in 1592, Trinity College Dublin is Ireland’s oldest higher education institution and one of the seven “ancient universities” in the territory of the UK and Ireland. It’s the only constituent college of the University of Dublin, and was modelled after the colleges of Oxford and Cambridge. Today, Trinity College Dublin is Ireland’s most prestigious university, ranked joint 104th in the world. Over 17,000 students are currently enrolled across the university’s three faculties: Arts, Humanities and Social Sciences; Engineering, Mathematics and Sciences; and Health Sciences. Also based in the lively Irish capital, University College Dublin has its roots in the Catholic University of Ireland, which was founded in 1854. Ireland’s second representative in the international rankings, it ranks joint 193rd in the QS World University Rankings 2019. Approximately 34,000 students are currently enrolled, and the university consists of five colleges, 34 schools and 18 research institutes and centers. It is associated with many notable alumni, including the famous Irish writer James Joyce, actor Gabriel Byrne, and Oscar-winning director and producer Neil Jordan. The National University of Ireland, Galway continues to improve its position in the 2018 edition of the QS World University Rankings, now placing joint 260th and also achieving a five-star rating in the QS Stars assessment system. 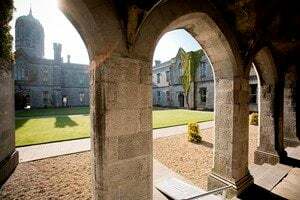 More than 18,700 students are enrolled at the university, which is based in the city of Galway, on the western coast of Ireland, and the campus is currently undergoing a €400 million redevelopment program. The university prides itself on offering many less-typical courses, including a BSc in Podiatry and BE/MEng in Sport and Exercise Engineering. The next highest-ranked Irish higher education institute at joint 338th in the world is University College Cork. In 1998, it was officially renamed University College Cork – National University of Ireland, Cork, but it’s still widely known as University College Cork, or UCC. University College Cork was the world’s first university to receive the international Green Flag for environmental sustainability in 2010, and has received five QS Stars for its overall performance. It’s based in the city of Cork, in the southern part of Ireland. A much younger institution compared to the three historic universities listed above, Dublin City University was established in 1975 and gained university status in 1989. Nonetheless, it’s gained a strong position in a short space of time, and is now ranked joint 422nd in the world. About 17,000 students are currently enrolled, including around 1,000 enrolled in distance education courses. 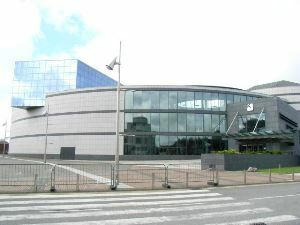 Based in the northern part of the city of Dublin, the university boasts an impressive selection of on-campus facilities, including The Helix – a large arts venue, complete with several different-sized performance spaces. The University of Limerick, Dublin Institute of Technology and the National University of Ireland Maynooth also feature in the QS World University Rankings 2019, all among the world’s top 800 higher education institutions. In addition, Ireland’s largest medical school, the Royal College of Surgeons in Ireland (RCSI), is ranked among the world’s top 500 medical schools in the QS World University Rankings by Subject. Those who study in Ireland often fall in love not just with the place, but with the people, known for their friendliness, sense of humor and love of craic (roughly meaning fun times in good company). The country’s rich cultural heritage and diverse natural landscapes offer a wide range of activities, from retracing the steps of internationally renowned poets and writers to exploring hidden rivers and lakes. The Irish capital has by far the greatest concentration of Irish universities and colleges – among the reasons for its place in the QS Best Student Cities index. A popular city-break destination, there’s certainly no shortage of things to see and do in Dublin, from admiring beautiful medieval architecture and retracing the steps of famous novelists, to visiting the Guinness Brewery and discovering the meaning of craic in one of the city’s lively pubs. 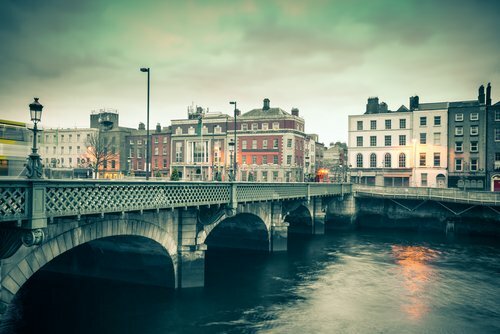 The city is known for being expensive, and living costs are higher here than elsewhere in Ireland, but Dublin is certainly not the world’s priciest student destination – and it gives a lot back. Universities in Dublin include University College Dublin, Trinity College Dublin, Dublin City University and Dublin Institute of Technology, all of which feature in the QS World University Rankings 2019. The city is also home to the specialized Royal College of Surgeons in Ireland, which ranks among the world's leading medical schools. Parallel with Dublin, but on the west coast instead of the east, lies Galway. 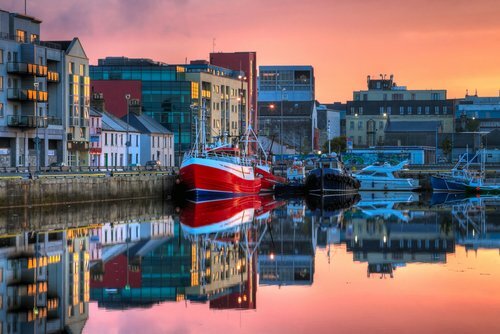 Combining beautiful beaches with a buzzing city center, Galway offers all the traditional and modern-day Irish experiences you could want: cobbled streets, brightly painted buildings and heaving pubs hosting throbbing live music. The city is known as a hub for arts and culture, and hosts popular annual events such as the Galway Arts Festival and Cúirt International Festival of Literature. Universities in Galway include the National University of Ireland, Galway and Galway Mayo Institute of Technology. 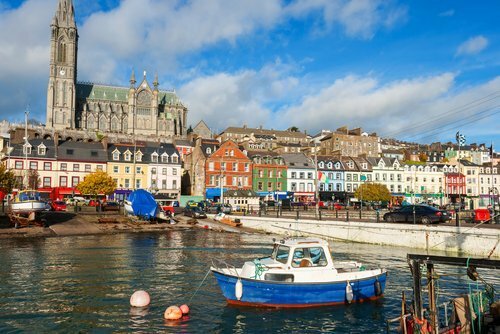 Also well-known for its cultural activity is the city of Cork, located on the south coast of Ireland. Its combination of historic architecture and vibrant cultural life makes it a popular stop for tourists. There’s a good selection of nightlife, from traditional pubs to trendy bars, and, as usual in Ireland, stunning countryside is never far away. Universities in Cork include University College Cork and Cork Institute of Technology. EU students applying for undergraduate courses should use the Central Applications Office (CAO). The usual deadline for online applications is 20 January, and for paper applications is 1 February. However, ‘late’ online applications can be made until 1 February, and paper applications until 1 May. There is a small application fee, ranging from €30 for an early online application, up to €80 for a late paper application. Students from countries exempt from visas should bring proof of acceptance onto a course when entering the country, and register with immigration authorities if intending to stay in Ireland for more than 90 days. Undergraduate students from countries within the EU/EEA and Switzerland can benefit from the Free Fees Initiative. This means you’ll only need to pay a ‘registration fee’, of about €3,000. For students outside the EU/EEA/Switzerland, tuition fees vary depending on both the institution and the subject. For 2018/19, the government organization Education in Ireland advises undergraduate students to expect to pay €45,000 - €54,135 (~US$51,000-61,400) for medicine and related subjects, €9,950 - €24,958 (US$11,300-28,300) for engineering, science and technology, and €9,750 - €22,000 (US$11,050-25,000) for business and arts and humanities. Although you’re required to show you have a minimum of €7,000 (~US$7,900) per year when applying for a student visa, you’ll actually need much more than this, with the Dublin Institute of Technology (DIT) Cost of Living Guide survey estimating total annual living expenses of €11,829 ~(~US$13,400), although you should budget more to live in Dublin, where rent is higher than the rest of the country. Student grants are available for EU nationals through the centralized Student Grant Scheme, and scholarships are offered by the government, individual universities, and independent organizations. Check with your university to find out which you may be eligible for.